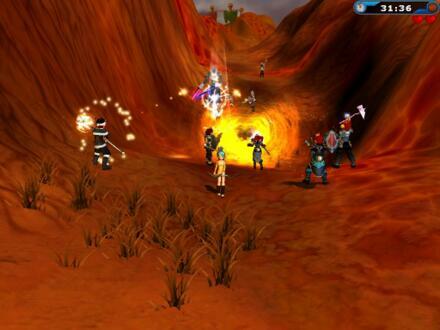 Developed by Ons On Soft for Windows, Fiesta Online is free-to-play 3D MMORPG with more than 2 Million players worldwide. The game is now available for European players in German, English and soon French and Spanish. It features detailed Comic 3D Graphics, an unique character development based on four classes, PVE and PVP Gameplay, and numerous Quests for single adventurers or groups. Choose your character between: Warrior (brings immense strength and hand-to-hand combat experience that makes them the centre of any band of players), Cleric (Clerics support their companions with the healing Power of Light and can annihilate their enemies by summoning the Anger of Goddess Teva), Archer (Archers have command over a wide range of skills including the ability to invoke the forces of nature for protection) or Mage (The energy of Isya flows through the Mage, which can be channelled into their perplexing magic spells). In addition, in Fiesta Online, each and every player can become a wheeler-dealer and open their own shop to buy and sell items.